This question has been bothering me since attending a workshop a few weeks ago. There were presentations by several producers with the usual stuff, how we do this and why we do it this way. But there were two who really caught my attention. One was a young couple with a 40 acre multi-grazing operation. The other was another young couple who has bought into the status-quo concept of bigger is a necessary ingredient for success. The commonality of the two operations was the fact that in both cases one member of each couple had to, and this was emphasized, maintain an off-the-farm job to make it possible to continue to operate their livestock enterprise. Listening to the couple with the 40-acre outfit you understood that they had accepted the fact that off–farm income was necessary for the foreseeable future. The disheartening thought I took from the other couple was the fact that they have realized they must live with an almost unrealistic debt load even with the off-the-farm income. Now my question is this: has our livestock production in the U.S. come to a place where it cannot survive without a subsidy? Has this always been so? If not what has happened? When we bought our first little herd of cows it was with the belief that this would add to our living, not be another expense. Ya’ll don’t want or need to read another story of how it was in the days gone by. But ya’ll must understand this was not a hobby or ego trip. This was a serious attempt to add to our living. I milked a house cow every morning and evening because we had two children to feed. We dreamed of the day that we could quit our day job but if it never happened our little herd of cows would still be a plus. 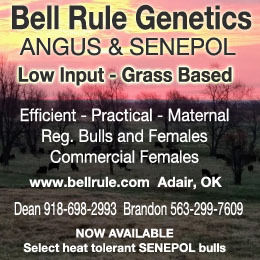 We believe that it is possible for a cattle enterprise to function without a subsidy but for most folks there must be some drastic changes made in thought and deed. That’s what I think. What do ya’ll think? I have some thoughts about this, but I really want to hear what you all think. Let’s discuss in the comments below. You have made an interesting observation Don. It is something I have often noticed myself, and I actually don’t think I have ever read an article, where they have not mentioned a spouse having an off farm job. And this is the same for the 5 or so farming and ranching publications I receive each month. I believe it is possible, (we are doing it) but sacrifices must be made. There are no trips to Mexico or the National Rodeo Finals in Vegas, and our Saturday night entertainment is usually barbecuing, or watching a movie at home, but we feel that they way we live keeps our family close, is a great way teach our kids important values, and keeps our eye on the bigger picture. We have everything we need, and many of the things we want, and are always looking at how we can do things better, for our situation. I would love to hear stories from other families that have taken the plunge, and are committed to making their operations work. I remember my father in law (and mentor) saying that they made more aey when his wife quit her town job, and took over the book keeping, that she earned in town. Remembering that this farm or ranch is a business, and needs to be ran like one, in an efficient, timely mannor may help some folks. I would say that the biggest subsidies in our operation come from the unpaid hours that my husband and I put into our operation. While we do take wages and benefits out so that we are able to live and raise our family modestly, we are also aware that with every payment made, we are building our equity and securing our future. It has certainly made the last 3 years more enjoyable for us as we embark on our profit, not production journey. We are way more in tune with our environment than ever before, and with the changes we have made I really can’t wait to see what the next 5 years will look like as we progress and home in on our skills. 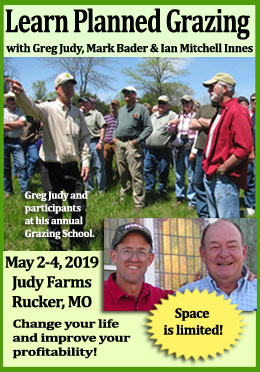 —Farmers getting together, sharing their costs for production. They are open with their finances with each other. —They know how much it costs to produce each lb of meat or milk on their operation. They push each other to figure this, if they want to keep farming. —Many NZ farms, only equipment they own is small truck, 4-wheeler and small tractor. All else is hired out to very efficient, effective specialists, who are the best at financing, operating, maintaining equipment. In my area of SW VA, the figure we beef farmers do know: how many bales of hay we feed/waste per beef, per year. Some farmers wonder aloud what they could be doing to make, buy and feed less hay and supplements. 3-4 bales is the norm; 0-1+ is doable with “drastic changes in thought and deed”. 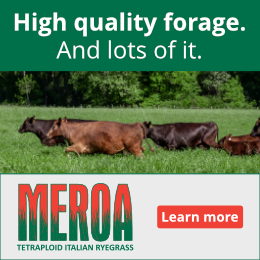 Once we’ve figured out how to feed local forages year round, we need to up our marketing. There are meat eaters who want to “buy in” to our local production. But as a farmer friend says “I’d rather be beat with a stick than answer buyer questions about the foods I’m selling”. Thanks to Salatin, K. Voth, C. Smith for pushing us toward “drastic changes in thought and practice” in this area, as well. That’s where I need to grow! In Australia , we have to be sustainable without subsidies ….. we do however get a rebate of sorts after purchasing drought fodder and /or freight subsidies in drought times ….